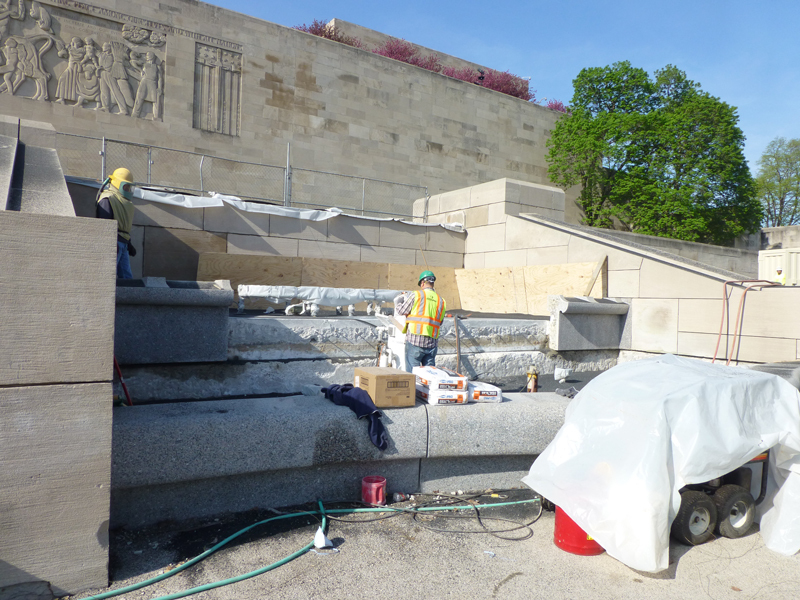 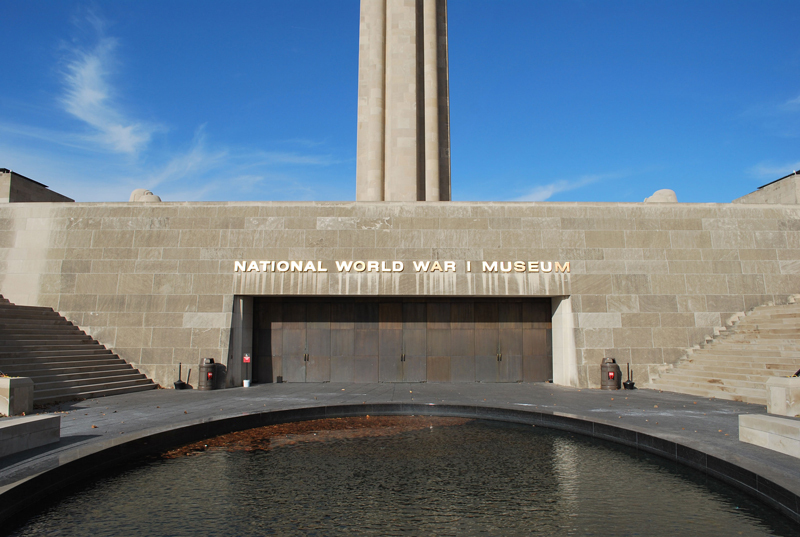 As part of the Gould Evans Design Team, our firm prepared construction documents and performed construction administration services for the restoration and reconstruction of the Dedication Wall at the Liberty Memorial which was prioritized based upon the previous Stone Condition Assessment Report completed in 2010. 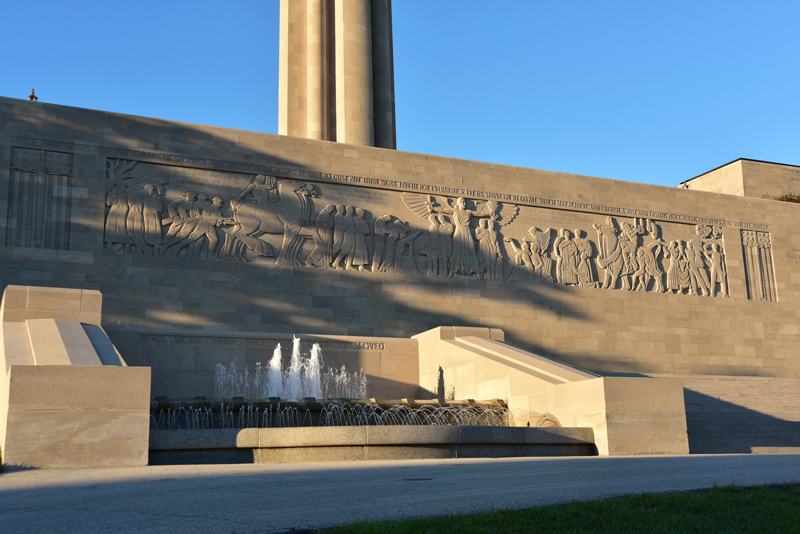 Also referred to as the ‘General’s Wall’ this extensive undertaking was completed in August of 2012 as a part of a larger restoration effort including work throughout the Liberty Memorial complex. 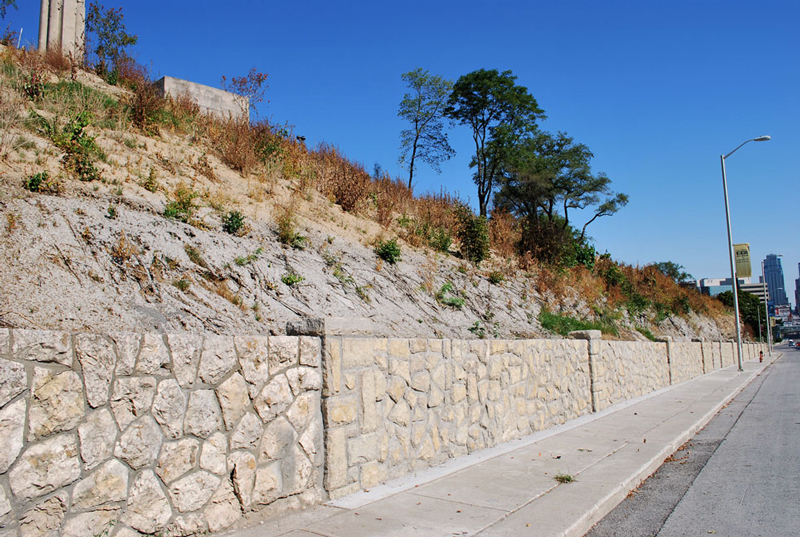 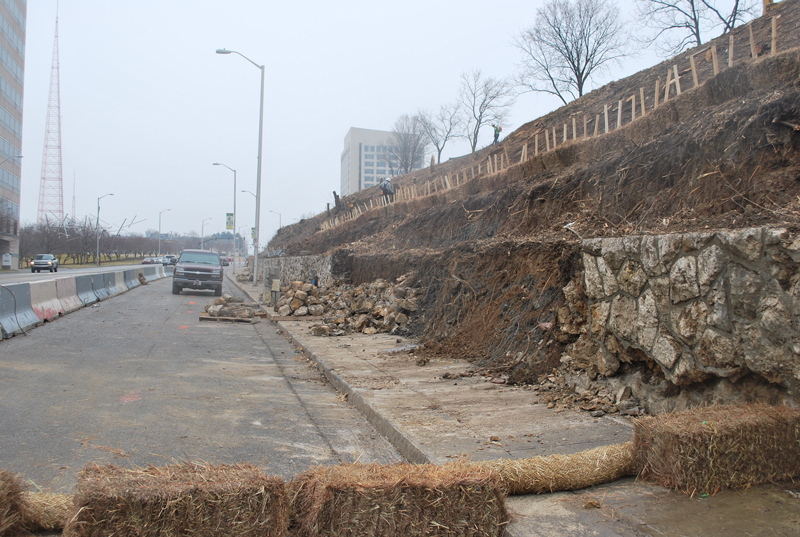 The Dedication Wall was in danger of complete loss due to years of weathering and water infiltration which had greatly deteriorated the historic stone. 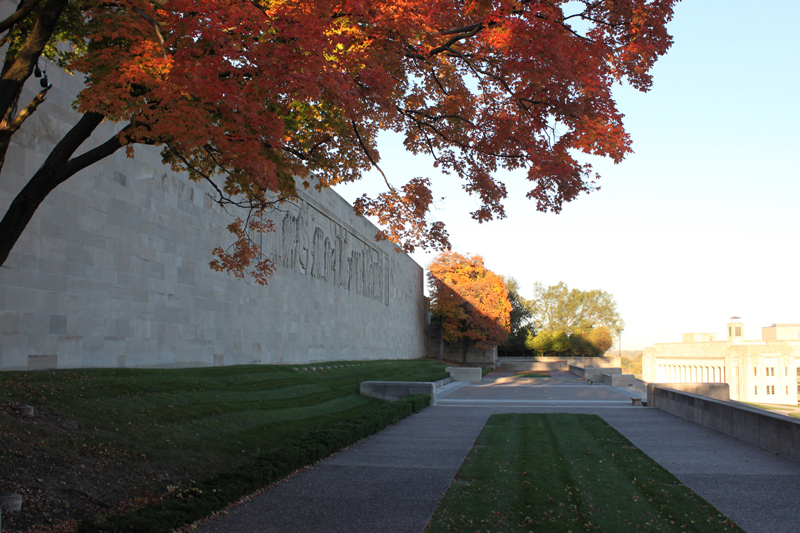 Originally designed in 1933, the Wall of Dedication Wall was completed in 1935. 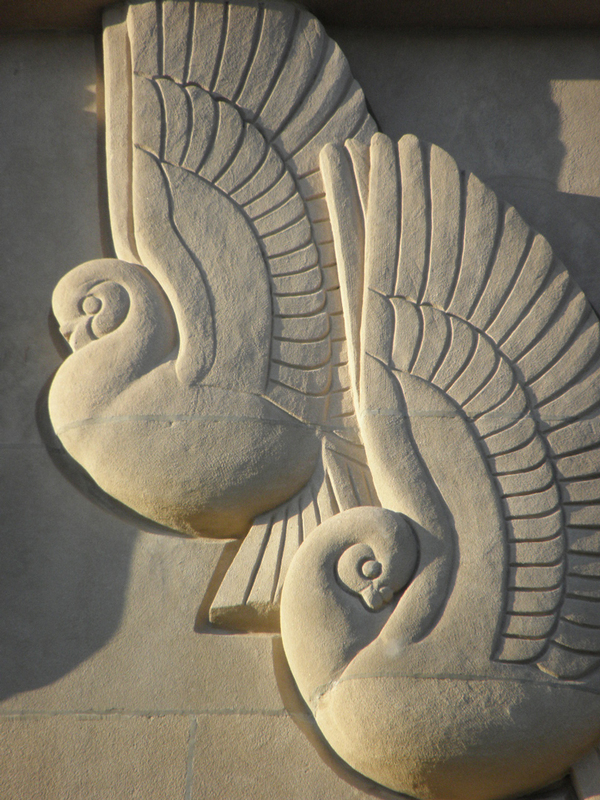 The original design was undertaken in a collaboration that included the offices of Hare and Hare and the Olmsted Brothers. 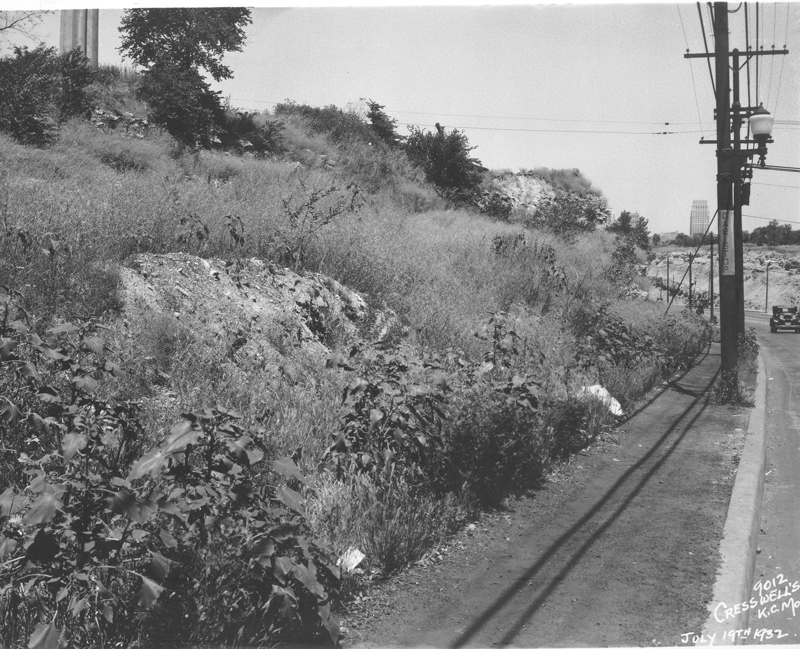 The actual design work of the wall was executed by E.M. Prellwitz, of the Olmsted Brothers office. 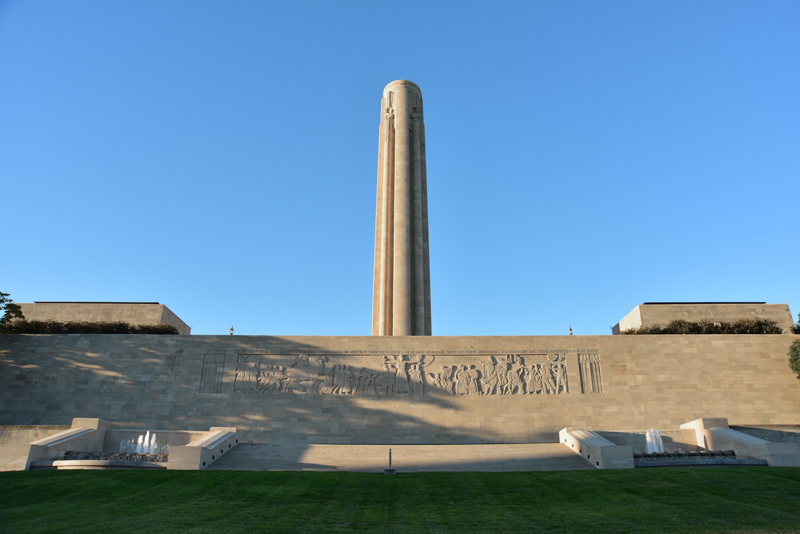 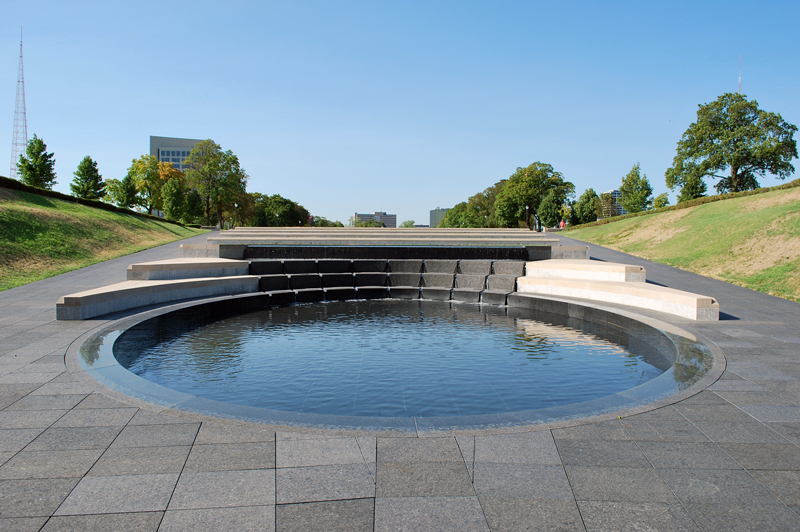 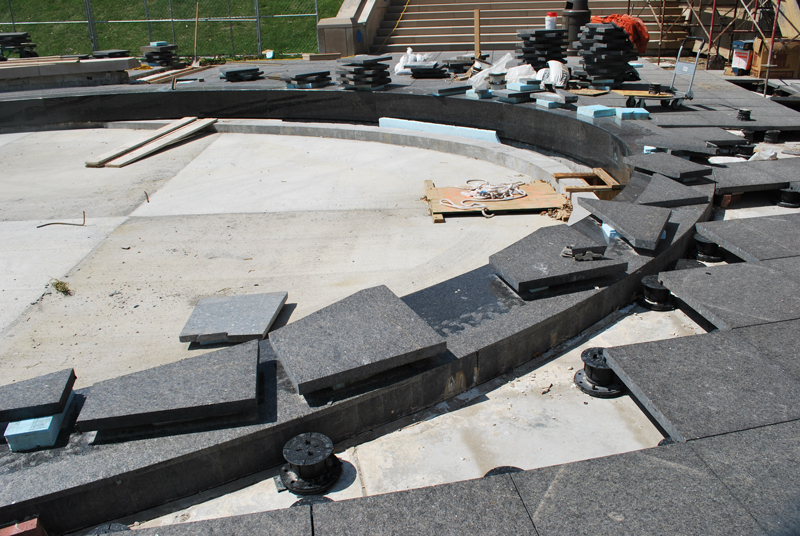 The design placed at the terminus of the expansive north lawn that lay beneath the Liberty Memorial complex. 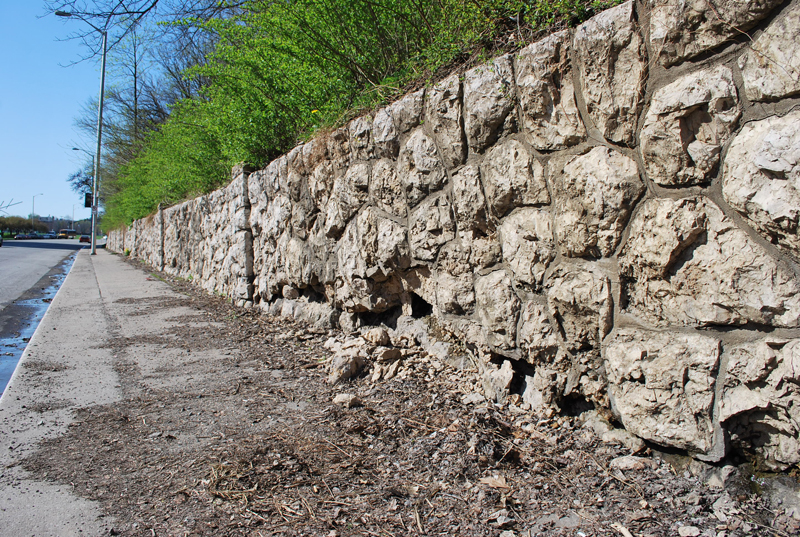 As constructed, this slightly curved wall was 90’-0” in length with an overall height of 10’-0”. 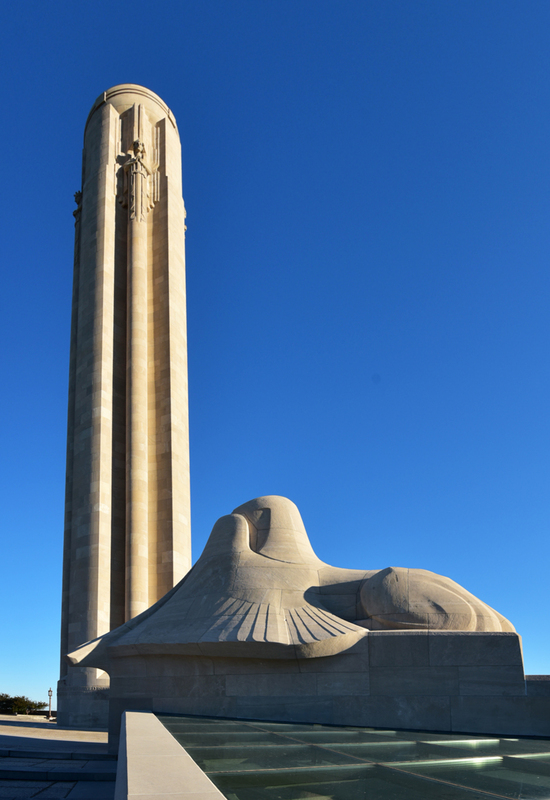 Individual units of stone are intricately carved in order to display the names of the five important Allied leaders who joined together on November 1, 1921 to dedicate the original site for the Liberty Memorial during the Third Convention of the American Legion. 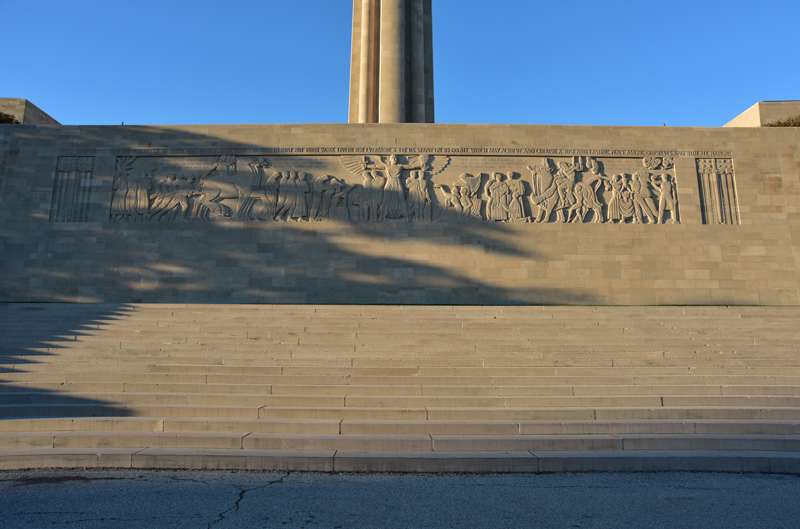 Bronze portrait medallions grace the wall depicting these leaders as follows: Ferdinand Foch, Marshal of France; Armando Diaz, General of the Army of Italy; Earl Beatty, Admiral of the British Fleet; Baron Jacques, Lieutenant General of Belgium and John J. Pershing, General of the Armies of the United States American Expeditionary Forces. 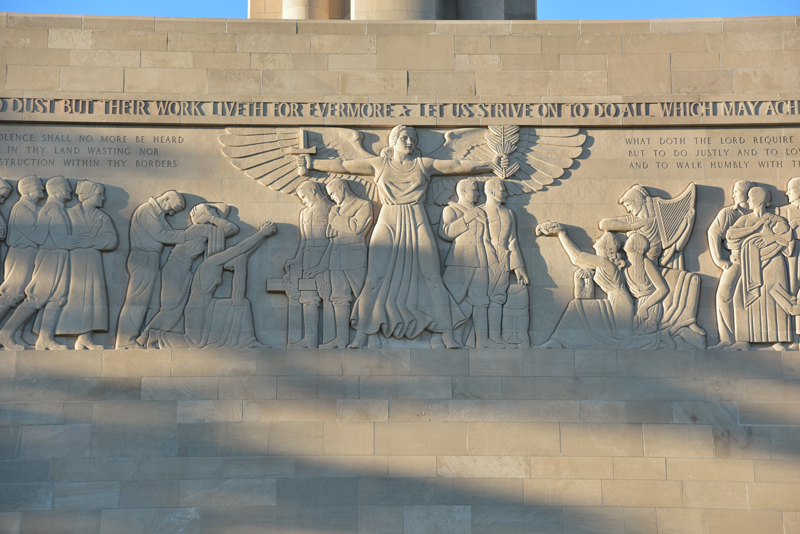 Two quotes are carved into this limestone wall, as well, authored by General John J. Pershing and Woodrow Wilson. 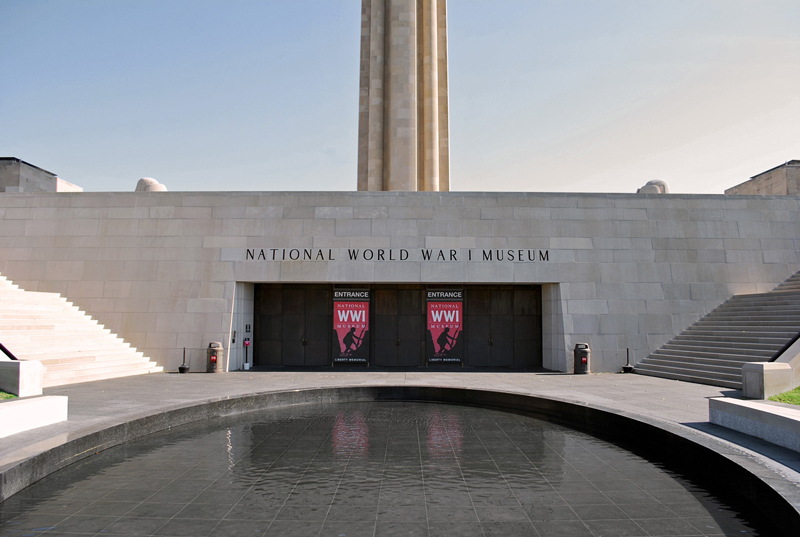 There are two bronze tablets that flank the ends of the wall commemorating those who served their country during World War I and to mark the site’s original dedication. 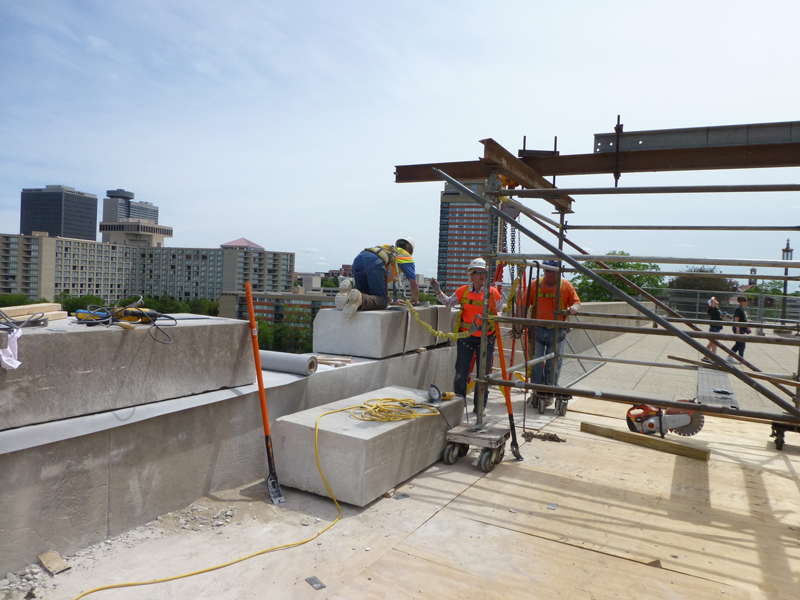 The restoration effort took on several areas of technical research that included extensive historical and on-site investigation by STRATA Architecture and Structural Engineering Associates. 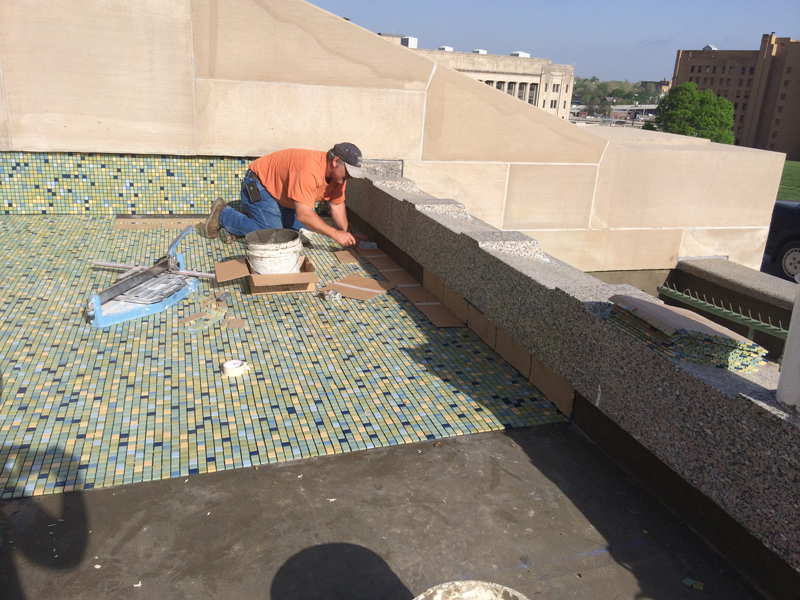 Their combined review uncovered several areas of concern regarding the lack of proper waterproofing on the rear side of the wall. 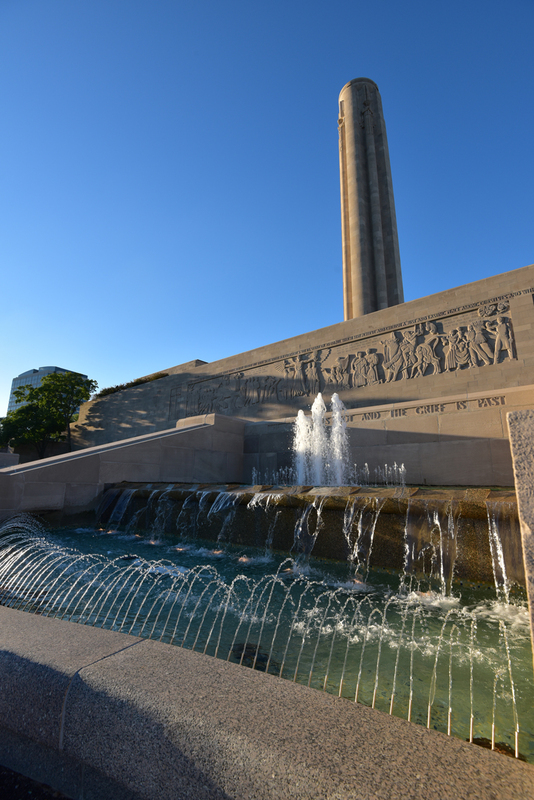 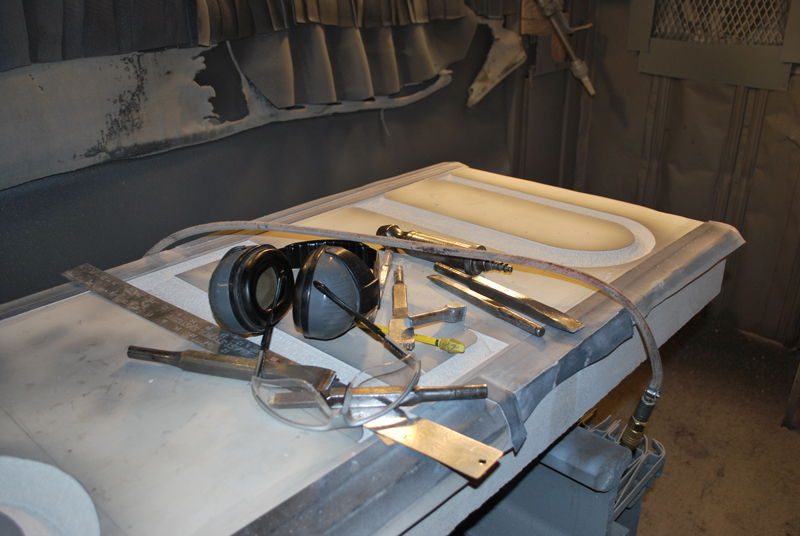 Research with a local stone supplier found the original limestone had most likely come from a local quarry in Fort Scott, Kansas and was able to procure new stone from the same limestone vein. 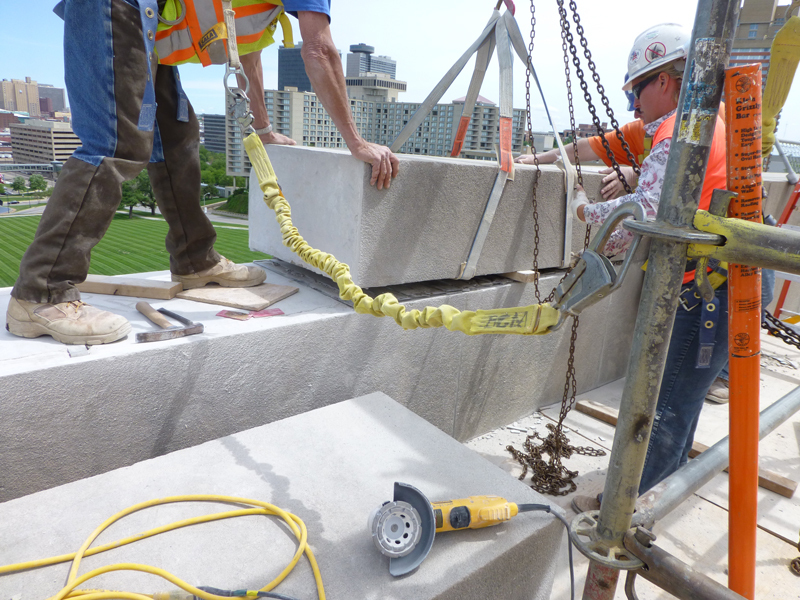 Detailed construction documents (drawings and specifications) were produced for typical exterior masonry work which included (unless otherwise specified) repointing, stone patching, cleaning and the application of a penetrating breathable water repellent, custom hand-carved replacement stones, and bronze busts and plaque restoration.